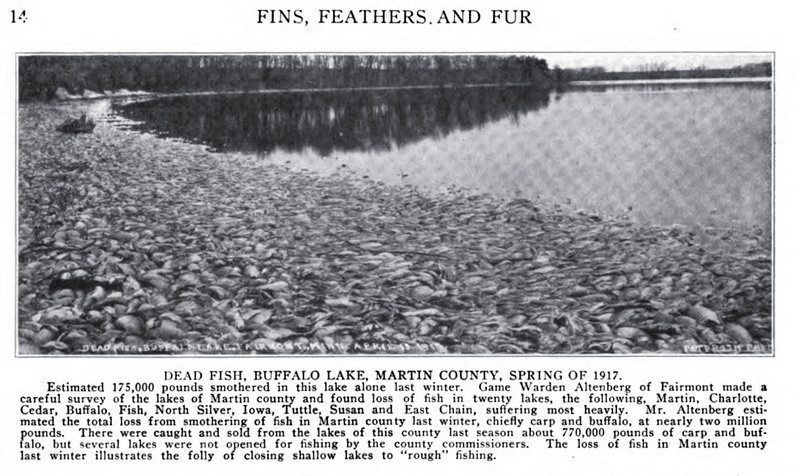 DEAD FISH, BUFFALO LAKE, MARTIN COUNTY, SPRING OF 1917. Estimated 175,000 pounds smothered in this lake alone last winter. Game Warden Altenberg of Fairmount made a careful survey of the lakes of Martin county and found loss of fish in twenty lakes, the following, Martin, Charlotte, Cedar, Buffalo, Fish, North Silver, Iowa, Tuttle, Susan and East Chain, suffering most heavily. Mr. Altenbergy estimated the total loss from smothering of fish in Martin county last winter, chiefly carp and buffalo, at nearly two million pounds. There were caught and sold from the lakes of this county last season about 770,000 pounds of carp and buffalo, but several lakes were not opened for fishing by the county commissioners. The loss of fish in Martin county last winter illustrates the folly of closing shallow lakes to “rough” fishing. 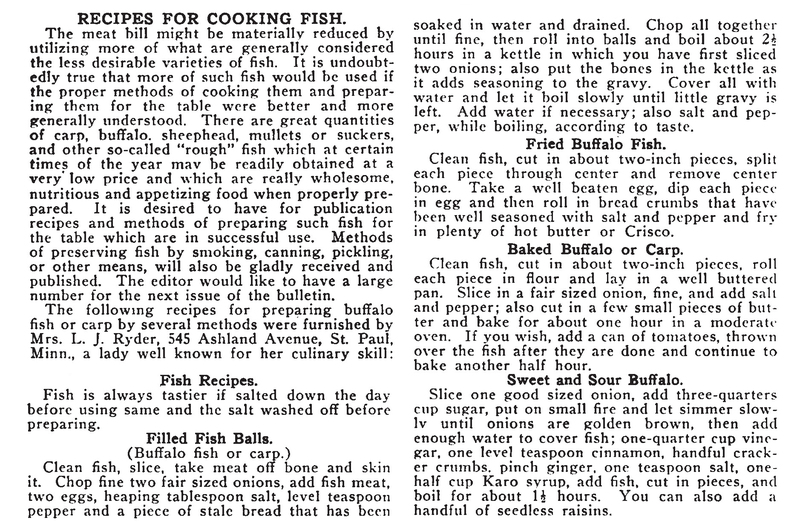 Tagged buffalo, carp, cooking, Minnesota, old books, photos, recipes, roughfish.